Perhaps the most abused drug in the world is alcohol. It is everywhere, and easily obtainable, even for minors. It is also one of the most damaging. So damaging in fact, that alcohol consumption is the #1 risk factor for early death and disability among people 15-491. That is a huge range of ages, proving that alcohol doesn’t care who it gets at. Staggering numbers. Not only is alcohol physically damaging, but the withdrawals and they symptoms you might suffer during an alcohol detox can be equally terrible. Part of the reason for this is the way alcohol is used. Unlike some other drugs where you use them once to get high, regular alcohol consumption is steady and frequent. You have to continue to keep drinking alcohol to keep the effect going. If you are an entrenched alcoholic, you might drink for a large part of each day, day after day. Your body becomes used to the alcohol and adapts to keep the body stable the best it can. The brain will adjust its chemistry to compensate by overproducing adrenaline or serotonin. So when alcohol is no longer present, the brain becomes like a runaway train that can’t stop. If you have been a heavy drinker for a long period of time, it is going to take time for your brain and your body to adjust in the opposite direction. Once you start an alcohol detox, here is what you can expect. It is well documented that alcohol causes the most dangerous physical withdrawal. If you have been a heavy drinker for a long time, stopping cold turkey can lead to seizures, strokes and heart attacks. 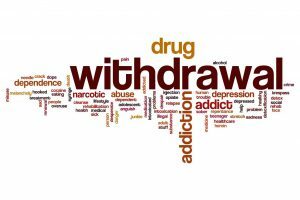 While withdrawal from other drugs can be very difficult, such as heroin, they do not present the same dangers as alcohol withdrawal. That is why it is not recommended that you try any sort of natural alcohol detox if you fall into this category. You need medically supervised detox where professionals can monitor you closely and help you to feel more comfortable when and where they can. Some people who fall into this category will also have Delirium Tremens, or DT’s. DT’s can produce physical effects that include shaking, shivering, irregular heart rate, and sweating. Feeling of isolation – You have lost your “best friend” all of a sudden. Anxiety – What do I do now? If you identify as an alcoholic, it is imperative that you stop drinking. However, it is also important that you do it in the right way and that is with a medically supervised detox. You may also continue to experience symptoms of your alcoholism after you have stopped drinking. It is possible that the drinking has cause damage to your liver, your heart and more. After you have stopped drinking, it is a good idea to schedule an appointment to see your doctor and get a full physical to make sure there are no ongoing issues affecting your health.